Back by popular demand! This isn’t just any trivia night. 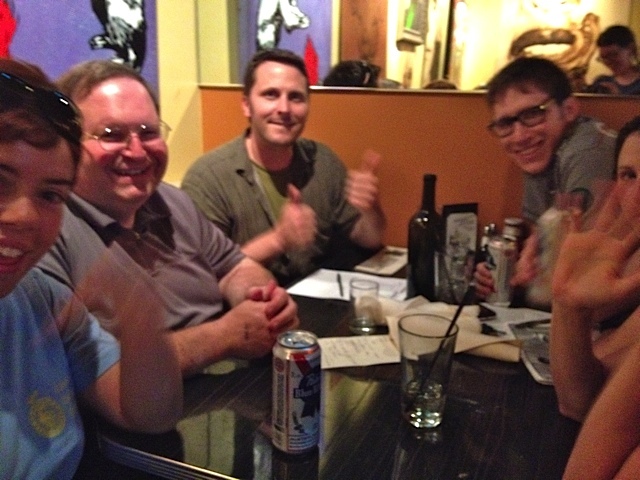 It’s Transportation Trivia Night – a fundraiser for the Community Cycling Center! This year’s event is going down on Wednesday, March 20th, at the Radio Room from 7pm-11pm, and trivia starts at 8pm. It’s $10+ to play (cash only) and you’ll receive a pint of Ninkasi beer just for joining us. There will be four rounds of transportation-themed trivia questions, with prizes after each round. In addition, there will be a door prize, best team name prize and a grand prize for the winner of it all. Stay tuned for more prize updates. RSVP on our Facebook event page and invite your friends. Your team can be up to 6 players – join forces if you have a small team, or split up for even more chances to win! Remember, the seating is limited so arrive early, grab dinner, and wait for the challenge to ensue. When: Wednesday, March 20th, from 7pm-11pm, trivia begins at 8. Seating is limited, so arrive early!